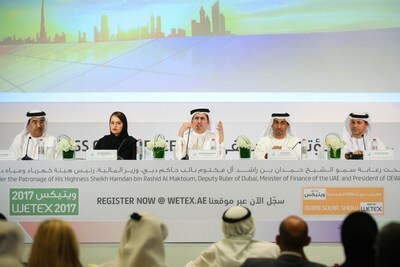 launch of the 19th WETEX (WETEX 2017). representatives from partners, sponsors, and the media. October 2017 at the Dubai International Convention and Exhibition Centre. coincide with the 2nd Dubai Solar Show and the 4th World Green Economy Summit. year's World Green Economy Summit," Al Tayer said. investors in these fields," added Al Tayer. with WETEX, will take place over an area of 14,000 square metres. Nations Framework Convention on Climate Change.